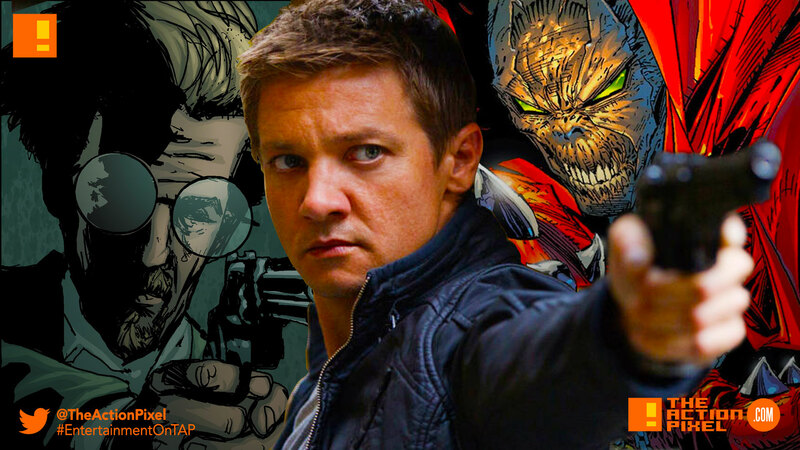 Actor Jeremy Renner has switched comic aisles from Marvel to Image Comics with his latest casting in the recent rebooted Spawn film. Renner stands cast as the Detective “Twitch” Williams. Twitch is described as intelligent, intuitive and an unconventional detective who is “near fearless and compliments Spawn’s demonic powers”. A combination that will help Spawn win his crusade. So it looks like Renner will be joining Jamie Foxx on set. The movie will be produced by Jason Blum and his Blumhouse Productions and is set to be rated a ‘hard’ R.